Five-star service means your property earns premium nightly rates. Investors are important but the guests increase earning potential. Ensuring an incredible five-star experience makes our guests happy and this translates to incredible earnings. The better the experience is, the more positive reviews we receive. This results in higher occupancy and incredible returns on investments. All requests are fulfilled in a timely manner with a team that is ready to respond 24 hours a day, every day of the week. Our guests’ experiences are our priority and with this being the case, we’re constantly accepting requests. We do everything we can to ensure our guests are accommodated. Cleanliness is a priority. Our Property Hosts work hard throughout Australia ensuring your property is squeaky clean and ready to welcome your guests. Ensuring a clean home promotes guest satisfaction and satisfied guests will spread the word about your property. With a goal of accommodating guests with comfort, your property will be spotless and guests will notice the extra effort. Travelers are constantly searching for experiences once they reach their destinations. We’re ecstatic to meet travelers and put in the extra time to welcome them. 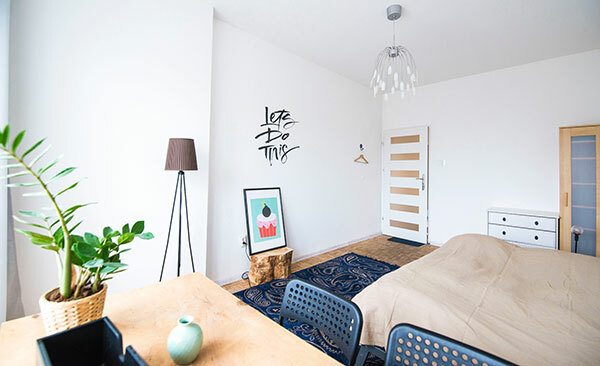 Their home away from home needs the extra sense of comfort we offer and if they’re looking for the local experience of a lifetime, they’ll certainly find it with Breezybnb! Delivering incredible returns means providing fantastic service. Our on-the-ground cleaning team is always ready to make every property spotless in a timely manner, ensuring the quality and timeliness our guests expect. Our five-star service is on point and guests appreciate our high standard of excellent service. Earn more from your investment property. Create the five-star Airbnb experience your guests will love. Home styling adds the comfort your property needs to ensure guests are made to feel comfortable. Make your property a home with these home styling tips. Our service is 24/7, meaning all guests can expect incredibly timely service when they need it. We focus on satisfying all guests, increasing your return on investment in the process. Guest satisfaction leads to more good reviews, resulting in more guests choosing your property as their home away from home! More attractive reviews and bookings come from satisfied guests so with Breezybnb, they’re a priority.